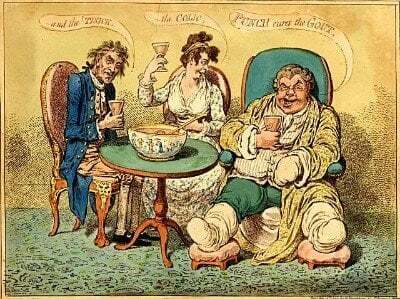 Allopurinol gout treatment is the most common form of long-term gout treatment. It works by blocking the enzyme, xanthine oxidase, that normally produces uric acid. So it is vital that you have regular uric acid tests whilst on this treatment. Before you begin taking allopurinol, you must be aware that all uric acid lowering therapies can trigger a painful gout flare. But this will diminish as you keep taking the medication. Because it is caused by uric acid crystals that have accumulated in your body tissue dissolving. So it is vital that you get rid of these crystals to avoid crippling joint damage. Therefore you must manage this pain for the few weeks or months that it takes to dissolve them. See my explanation of allopurinol medication for more details. You will normally start with 50mg – 100mg allopurinol tablets, followed by a blood test. But it is important to go straight back to your doctor if you notice any allopurinol side-effects. Because in a very small number of cases, you can have a strong reaction against this drug. So it is vital that this is picked up immediately. The blood test will indicate if your dosage needs to be increased. So a common allopurinol gout treatment dosage is 300mg. But this will depend entirely on your particular circumstances. Then repeat blood tests at the interval advised by your doctor to ensure this dosage is right for you. Although allopurinol gout treatment is common, it is also commonly misused. Because as I reported in my December 2006 Newsletter, less than half of gout patients who start allopurinol treatment continue with it. Of those that do, only one person in three will take a sufficient dose to lower uric acid to the level that will dissolve all uric acid crystals. 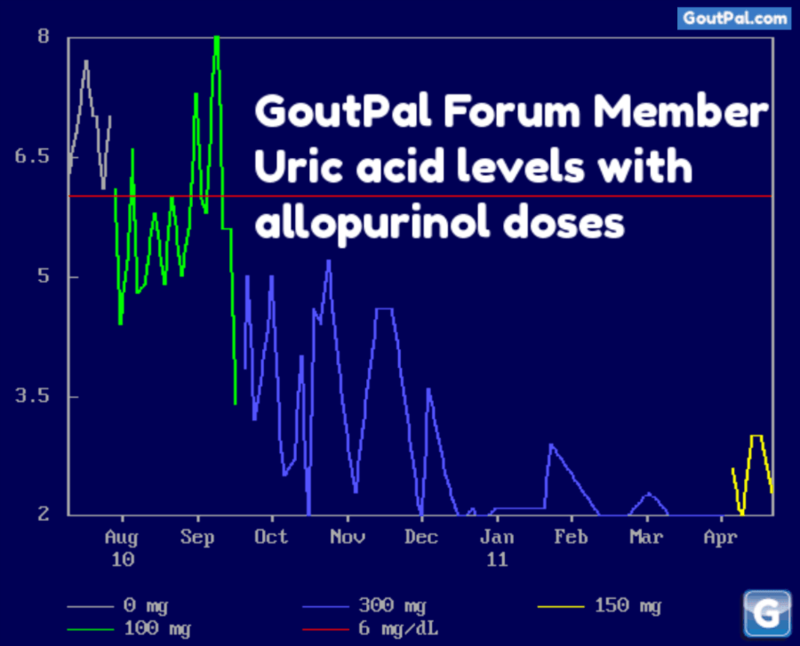 Is Allopurinol Gout Treatment getting your Uric Acid Safe? There is in-depth information about all aspects of allopurinol gout treatment in the Gout Treatment Section. The information is spread over several pages starting on the allopurinol page within the uric acid lowering subsection. All these spellings refer to the allopurinol gout treatment. If you are aware of other alternative spellings, please share them on the gout forum. This article was first published prior to May 2008 and is reformatted here to suit the updated layout. Leave Allopurinol Gout Treatment to read more allopurinol information.